We are committed to creating work that brings audiences and people together, we believe that art and sensory intervention can have a powerful effect on the rising rates of loneliness. Find out more here. The CitySkin is an adaptive tool to be worn and used by citizens and artists alike. It offers the opportunity to observe these invisible parts of the world around us, and by considering, interacting with and being inspired by our surroundings in this new way we hope it can lead to a greater awareness of the crucial relationship between body and environment. This toolkit will be used to create two independent but complimentary forms of public engagement: the touring installation & the walking workshops. Essentially the CitySkin is a reactive suit which gathers environmental and sensory information about the city and the wearer(s) as they explore the urban landscape. Designed by Freyja Sewell & Stephanie Singer it is intended to make the invisible aspects of the environment visible to us and for this process to encourage a new way of thinking about our environments. The CitySkin is designed to draw attention to the fact of our body’s are in constant communication with the environment. With the air we breathe in and out, the water we drink and excrete, the pace the city exists at and our own internal pace, the sounds we hear and the sounds we make. This interaction between body and environment can be nourishing, replenishing, suffocating, destructive, inspiring and all things in between. 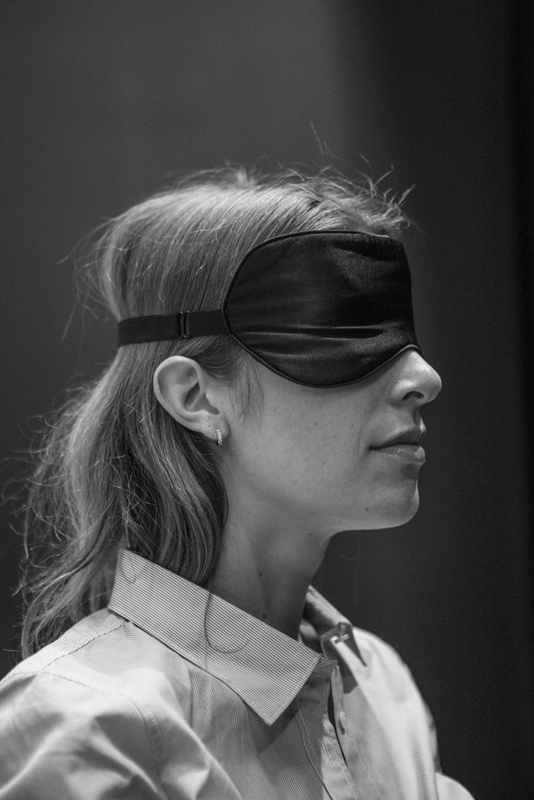 Delivered in partnership with King's College London 'Without Touch' is a short multi-sensory piece which invites the audience to experience stories and memories of prolonged tactile deprivation. 'Without Touch' is inspired by the notion that when we shake hands, hug, high five or wrap our arms around someone it brings us closer to that person. Touch helps us connect to people and the world around us. We experience touch everyday, whether that's sitting on a seat on the tube, feeling our clothes against our skin, or holding our mug of hot tea. Sensibility Festival is a unique arts installation that has been co-curated by 60 participants with complex communication needs. Together with local artists they have been exploring dynamic ways to develop accessible and multisensory arts practice. The festival challenges conventions of established art making methods and provides experimental art opportunities that nurture and inspire creative practices. Events will take place at Touchbase Pears, Selly Oak and MAC. Transport between venues will be available. A sensorial journey of choreographed voices, sounds, touch and movements inside a secret space at the RAA. It heightens our awareness to change the way we perceive and embody the world around us. Each audience member is invited to construct their own imagined space through a landscape of poetry inspired by the myths and memories of the Burlington House. The immersive performance enquires into our haptic and phenomenological experience of architecture through the interplay of presence and absence, the sensed and the imagined.